Welcome to this wonderful year of school, fondly known as Preschool! Our wish is that you and your child will have a year filled with lots of smiles, friendships, loads of learning, and many successes for all of us! If your child is to develop a sense of independence and security during this preschool year, your help is needed…your help is always needed! We are partners in this task of educating and nurturing your child, so we would like to extend the following suggestions to make the home-to-school transition cheerful, smooth and successful! Math: The math program incorporates the use of manipulatives. The children use counters, game boards and learning centers.The students also learn number writing, patterns, sorting, math stories, shapes, graphing, number sense, and one-to-one correspondence. Language Arts: Our language arts series is McGraw-Hill Little Treasures. It is a developmentally appropriate, research-based Pre-K curriculum. Early Reading- Daily lessons in the four key areas of phonological awareness, alphabet recognition, print awareness, and oral language. Integrated curriculum-weekly lessons on social studies, science, math, and Music tightly linked to unit themes. Social/Emotional Development with Mr. Rogers- Meeting the social and emotional preparedness for our youngest learners. We will introduce basic “Project Read” skills to prepare them for the “Project Read” Kindergarten curriculum. The children will learn letter formation through the use of tactile cards and games. Children will learn to name upper case and lower case letters of the alphabet. Children will learn to follow from left to right and from top to bottom on the printed page. Children will learn to write their names using correct letter formation and spacing. Children will be exposed to reading through the use of books. Children will learn to distinguish fiction from realistic text and use pictures and context to make predictions about story content. Students will begin to develop phonic skills through games, as well as the use of songs for both phonemic awareness and fun. Children will be exposed to rhyming words, identifying beginning and ending sounds. Science: The children will do several hands on experiments. We will learn about seeds and plants, sink and float experiments, etc.We will learn about the five senses, stages of butterfly and frog, ocean life, seasons, weather, healthy habits, etc. Social Studies: The children will learn about themselves and families. We will learn about community helpers and famous people such as Abraham Lincoln, Martin Luther King Jr., Christopher Columbus, etc.Our Reading series introduces content from culture, community, history, geography, economics, and government. Religion: Our religion series is Loyola Press which follows the seasons of the Church-Advent, Christmas, Lent and Easter. Our theme is “God Made the World”. Our four-year olds will learn that God made living things, including people, holy things, the earth, and other wonderful surprises. A unique aspect of God’s creation is the main focus of each chapter.The children will be engaged in making several crafts related to various religious topics being covered. 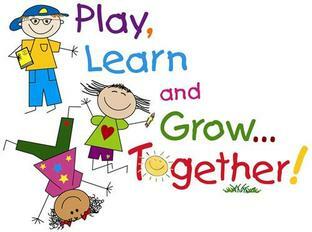 We will sing songs, have puppet shows, role play and have creative movement. Prayers will be taught on a daily basis. Physical Education: The children have gym class once a week. This class is held in the gym with the instruction by the physical education teacher. Please make sure your child is dressed appropriately and they are wearing sneakers. Computer: The children have computer class once a week with the computer teacher. The children will work on various computer programs. Music: The children will learn new songs. The will sing and dance daily.ArtThe children will participate in art activities. The children will create various crafts and art projects relating to different themes/holidays.ComputerThe children have computer class once a week with the computer teacher. The children will work on various computer programs. Library: The children have library once a week with the librarian. The children will have a story and will check-out a book to bring home and are responsible for bringing the book to the library the following week on their library day. Spanish: The children have Spanish once a week with a Spanish Teacher. The children will learn colors, numbers, sing songs and learn prayers. Art: The children will participate in art activities. The children will create various crafts and art projects relating to different themes/holidays. Field Trips: We love them! All parents MUST chaperone the field trips and provide transportation to and from the field trips. Our field trips are local and include things such as an apple orchard, gymnastic center, and a trip to the zoo.